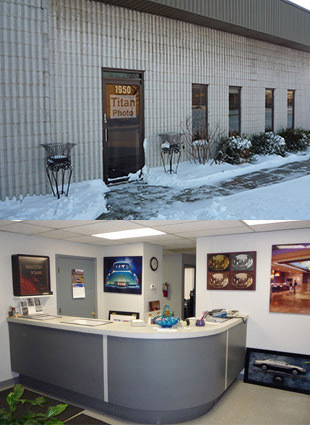 Titan Professional Photo Lab is located in Troy, Michigan in a 3500 square foot facility. We began our business career as a photo studio in 1973. Soon after opening the studio doors, we started processing our own work and the work of others. Ten years later, the studio was sold and Titan Professional Photo Lab was born. The owners, Hal and Rod are brothers who share a common philosophy, do the highest quality work possible with the best equipment and materials available. We have met this commitment for over forty years. We have found over the years that the best way to accomplish consistent high quality work, is through total communication with our customers. Digital photography and file preparation can be daunting, so we try to make the process as painless as possible by offering to assist in any way we can. So if quality photographic images are your goal, Titan Professional Photo Lab is the lab that can show you how to get it done consistently. Download our price list and get a better view of all the services we offer.